Diz Runs With… Spirit of the Marathon? On today’s show, I deviate from the normal type of show where I’m chatting with another runner, and instead talk about the documentary Spirit of the Marathon. If you’re a runner and you’ve never seen this film, you seriously need to get a hold of a copy (or find it on hulu) and watch it right away. It’s that good! The film follows 6 runners as they prepare for, and race in, the 2005 Chicago Marathon. For anyone that has ever run a marathon before, you know that the training and race are seldom smooth sailing, and sure enough, the runners in this film deal with their fair share of trials and tribulations along the course of 26.2 miles. 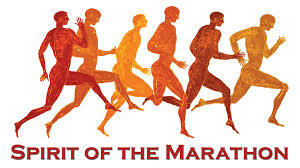 If you can watch Spirit of the Marathon and not get a little choked up, you’re a better person than I am! While watching the film, and especially the part shot during the actual race, it brought back many memories and emotions that I have experienced in the marathons that I’ve run. That’s how good this film is. If you’re as much of a running nerd as I am, you seriously need to do yourself a favor, and watch this movie. And don’t be surprised if you’re ready to sign up for a marathon by the time the credits roll! https://i0.wp.com/www.dizruns.com/wp-content/uploads/2014/12/Unknown-4.jpeg?fit=300%2C168 168 300 Denny http://www.dizruns.com/wp-content/uploads/2015/01/Logo-Trans.png Denny2014-12-04 15:26:202014-12-24 13:00:27Diz Runs With... Spirit of the Marathon?